Artistry meets exploration – The complete musical ensemble for your home. 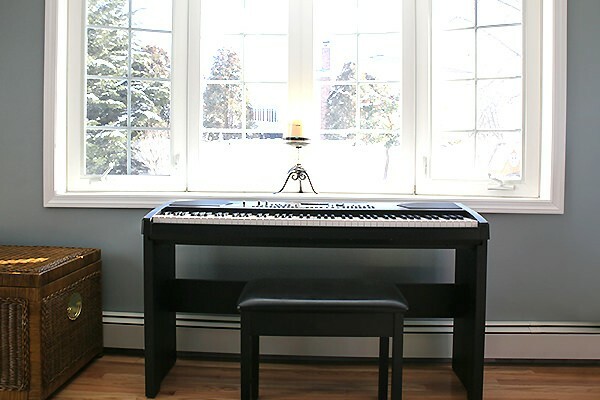 The HAVIAN 30 provides classic grand, upright and electric piano sounds, plus a collection of additional musical instrument sounds, in a compact and stylish cabinet. It has been designed with ease of use and enjoyment in mind, while never compromising on the quality of sound or power required by the professional musician. The high-quality European hammer-action keys give the user an accurate response and feel of playing a grand piano. 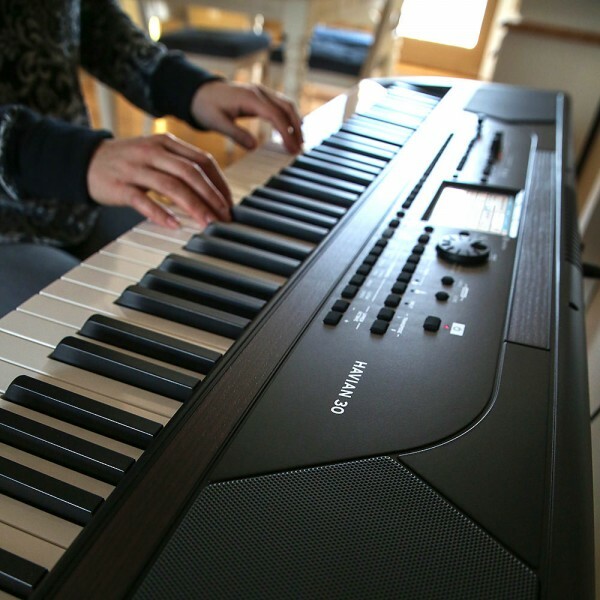 The finely-tuned, authentic acoustic piano sound will satisfy the most demanding player, and the accompaniment sounds and performances are inherited from the world-renowned KORG Pa-Series arranger keyboards. Thanks to the optional stylish stand with damper pedal support and convenient headphone hook, the HAVIAN 30 will fit perfectly in every living room. ST-H30-BK Keyboard stand with damper pedal sold separately. Grand and Upright Pianos with Damper Resonance including Classical/Pop/Jazz/Rock versions, Harpsichord, Tine & Reed Electric Pianos, Clav and Organ: a complete keyboard sound library. Great European Hammer-Action feel, pristine amplification, professional accompaniment and player sections, metronome, score, lyrics and markers: the all-in-one piano solution for beginners up to the most demanding players. Compact and light. Elegant at home, with a dedicated optional stylish stand including damper pedal support and headphones hook. 5” TFT color TouchView display and straightforward control panel layout for intuitive and easy use. Auto-accompaniment section with a complete style library covering all genres, with Chord Sequencer and full editing features. Limiter and 4 band Parametric EQ. Rich, powerful 25W stereo speaker system. 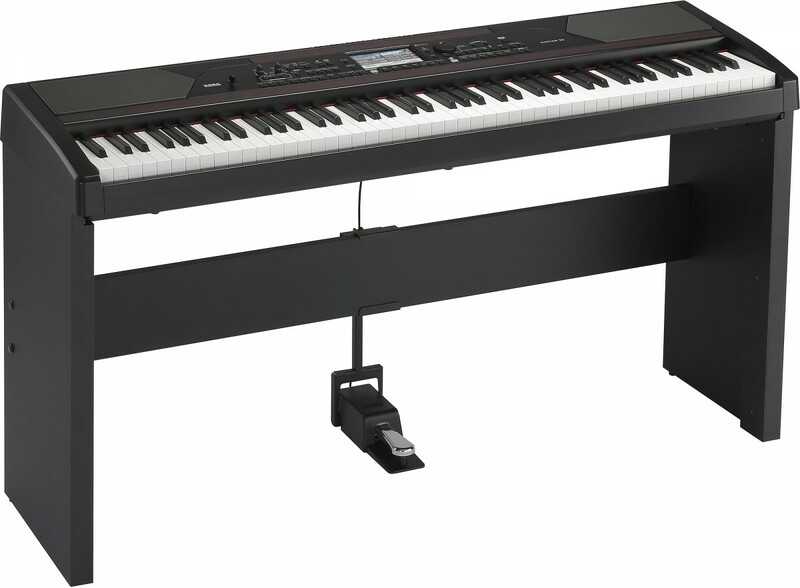 Everything in this digital ensemble piano has been considered to provide you with a great piano experience. 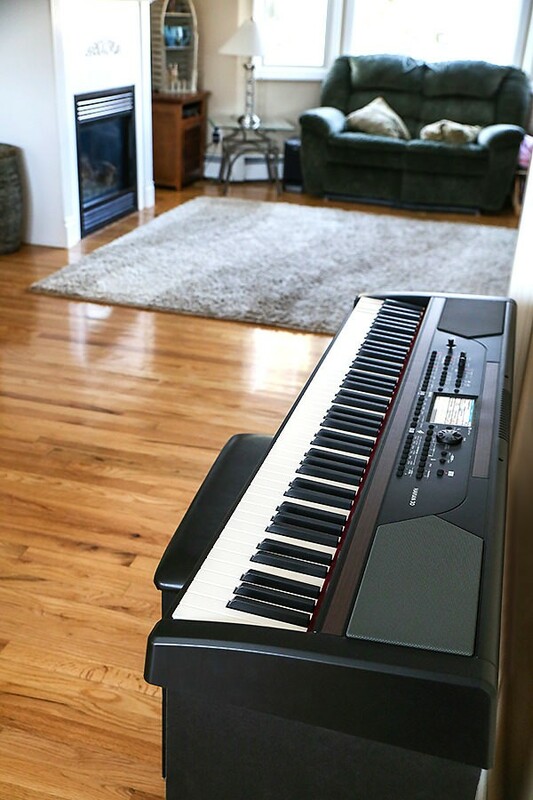 The high-quality, weighted piano-like keyboard allows for the most realistic feel. The grand piano, recorded in multiple dynamic levels, sounds authentic and natural. Half-pedaling in some sounds will allow for more subtle nuances. You will feel like you are at a real piano – whether playing soft ballads or powerful, densely chorded music. To complete the piano collection, we added an intimate upright piano, an evocative honky-tonk, and an extensive selection of electric pianos. A realistic harpsichord for historically inspired performances is also included and can be customized by choosing one of the carefully crafted period tunings. From ragtime to R&B, classic rock to modern jazz, early keyboard music to the latest piano hits, everything is included to play centuries of great music. Studio-quality effect processors refine the sound to that of a professional studio recording. Whether through the rich integrated speakers or headphones, you can be sure of a wonderful listening experience! The realistic Sounds are easy to find and play, and the high number of preloaded accompaniment Styles cover any music genre, offering a wide variety of music for you to play along with. They can also be freely customized to your taste, or created from scratch. There are five accompaniment parts that following given chords, and they range from very simple to the rich harmonization of a competent jazz player. This accompaniment is extremely natural and expressive, giving the feeling of playing with a real band. Songs in MID and MP3 formats can be played. Lyrics and Chords can be shown in the display, and any MIDI Song track can be converted into a readable score. Markers allow for jumping back to a passage to be repeated for study or rehearsal. MIDI Songs can be recorded using the full-featured Sequencer, or by quickly using the Styles to record a live performance. Everything played can be also easily recorded and saved as an MP3 file for playback anywhere. 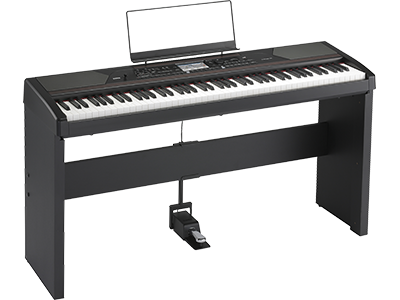 HAVIAN 30 is a compact and lightweight digital piano, by adding the stylish optional stand, with support for the damper pedal (included) and (optional) headphones, the HAVIAN 30 will look good in any home. HAVIAN 30 can be used for practicing at any level, using the included programmable metronome or the dedicated Piano Styles, making every practice enjoyable. The HAVIAN 30 is easy to navigate, thanks to the TouchView display and the intuitive controls. This easy-to-use, handy technology, driving every aspect of the instrument, makes editing and programming seem as easy as touching objects in the real world. To benefit from its huge collection of Styles and Songs, the HAVIAN 30 has the intuitive song organization database, the SongBook. The SongBook is a music database that allows users to quickly search for and retrieve Songs and performance settings based on name, artist, genre or tempo. The SongBook can be edited from your PC using the editor software available as free download from www.korg.com. It can also be synchronized with iPad and most modern Android tablets to become a handy external digital music sheet reader using 3rd party software. *For use with iPad an optional “Camera Connection Kit” is required. The USB ports allow users to connect to any external storage device, or to a personal computer, smartphone or tablet without any need for a dedicated MIDI interface. The use of standard MID or MP3 file formats opens a world of possibilities when exchanging files.